Residents of Seward County may dispose of tree limbs at the Seward County Activity Center (large parking lot on west side of building) until Wednesday, February 15, 2017. The governing entities appreciates all the efforts of the City of Liberal, Seward County, SCCC, Liberal Ministerial Alliance, and all community members who came together to clean up the storm debris. It has been a great joint effort. Please note, the City of Liberal is requesting all tree limbs be out at the front of the curb by today. 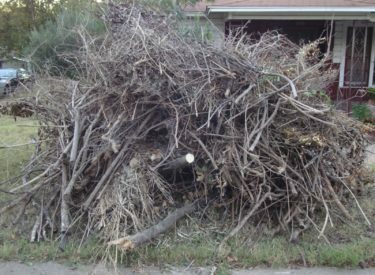 They will do one last sweep of streets for branches/limbs and then it will be the homeowner’s responsibility to dispose of the tree branches either by taking them to the Activity Center parking lot by February 15th or to the Landfill. For assistance or more information call 620-626-3355.